Motorcycles are one of the best toys for an adult. 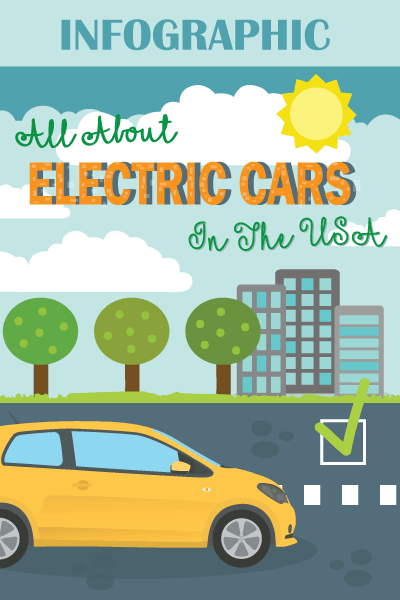 Not only is it very fun to ride, you can also save a lot on transportation expenses because it is efficient on gas. However, motorcycle riding being fun will never mean that it is safer to use than a car. If you have decided that you want to explore this hobby, you would want to be prepared before you take your motorcycle out on the streets. We imagine that it would be such a nerve-racking experience when you ride your motorcycle for the first time. Motorcycles do not have airbags or seat belts, so a tiny mistake might cost you your life. 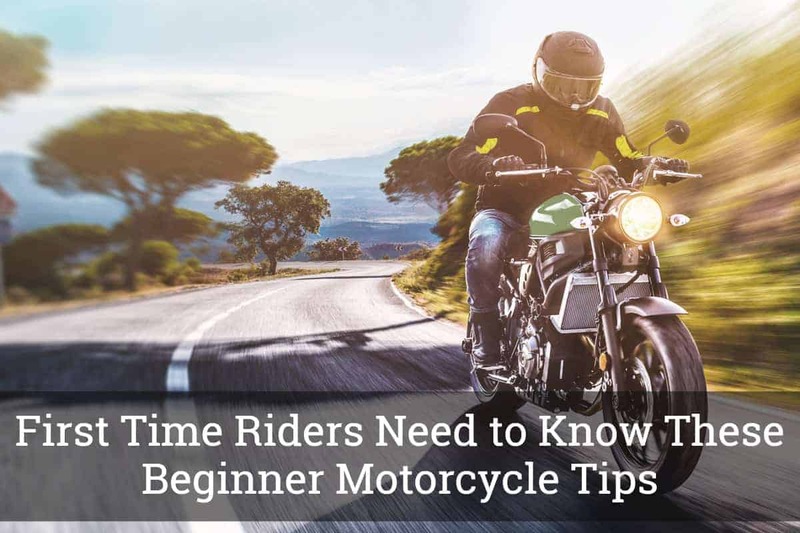 For that matter, we have here a rundown of 10 beginner motorcycle tips to help you be prepared when you hit the road for the very first time. Read on if you want to know more. Others may tell you that if you are that scared to ride a motorcycle, you should just not do it. It’s true, motorcycle riding is a very dangerous and risky hobby that never tolerates incompetence. However, it would be a lot misguided to exclude the beginners just because they have literally no experience in that area or just have a difficult time learning. Anyone with a sound body and mind can learn how to ride a motorcycle, even if struggling is evident and obvious on the first few tries. All that you need is the commitment and goal, as well as the patience to learn the process one step at a time. In fact, you may even learn a lot better if you focus on one new skill at a time. There are a lot of different ways on how to learn to ride a motorcycle. You may either have your experienced friend teach you, or you can take a DMV test and learn by the book, or you can take a course from a safety organization. However, we do recommend that you take a motorcycle safety training, instead of having your training from a family member or a friend. An example would be the training program conducted by the Motorcycle Safety Foundation, which is available all over the United States. The classes would be perfect, as they teach you strategies of throttle, brake control, and clutch. In addition, they do offer advanced or experienced courses, which you can sign up for if you want to learn new tricks or improve your riding skills. If you truly decide that you want to take on this new hobby, you certainly need to buy the motorcycle. There are lots of brands and manufacturers that offer high-quality and user-friendly motorcycle, which is something that you will need, especially that you are a beginner. Go to a motorcycle dealership and try different models to know which perfectly fits you. When you sign up for the training, probably the very first thing the instructor will tell you is that you need to have motorcycle protective gear. Your everyday normal clothes would never be appropriate and adequate to wear whenever you ride your motorcycle. Gear such as the helmet, motorcycle jacket, gloves, boots, and pants would make a difference in improving your safety. 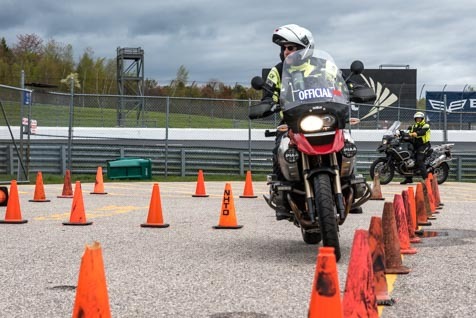 After you have completed your motorcycle safety training, you might want to take this final step before you take on the streets. Find a mentor or someone who can give you additional tips, especially those that are not taught in the training. Having a mentor or a friend to assist you is very important because we guarantee that you would still be nervous on your first ride. Now it’s time that you ride your motorcycle. This would also be the perfect time to apply all that you have learned from your instructor or your mentor. Just remember that safety precaution should always be observed, even if you have worn the necessary motorcycle protective gear. And most importantly, never neglect the traffic laws. In addition, you first must get familiar with the controls, such as the levers and buttons on your motorcycle. If you are, you would not have to look down to press a button. Familiarizing yourself with the controls would allow you to stay focused on the road and the traffic surrounding you. We, however, do not recommend that you start taking passengers, especially if this is your first time riding your bike. We believe that you must know your motorcycle inside and out first before you invite a friend or a family member to ride your bike with you. It does not mean that when you fall, you are never going to stand back up. Failure is inevitable, especially if you are just getting started. Motorcycle riding is not a skill that you learn overnight and it certainly would take a lot of practice. Learning the skill would also demand your commitment and your desire to improve. Learning how to put gear, such as the tank bag, would be beneficial for you if you have a lot of items to carry around when you are riding your bike. There are also some accessories that you may install on your motorcycle that would not require you to ask for professional help. You would be surprised how easily and conveniently these gears can be installed in your motorcycle. It would probably be better if you start off riding in a parking lot or the even-surfaced streets in your neighborhood. However, if you already have the guts and the desire to take your bike somewhere far, you might want to consider going out of town. Not only would you be able to look at the scenery but you would also be spending valuable time with your bike. While we do recommend that you go out of town, you must never forget to look up the places where you want to go. This is very important when you are still learning how to ride your bike. Doing this tip would help you avoid any obstacles that you may encounter on the road. To add, you may use navigation apps on your smartphone to make it easier for you. The most important is for you to have fun riding your motorcycle. After all, it is the main reason why you bought the motorcycle, right? Learning the skill of riding your bike might be difficult at first, but if you get the hang of it, it will be such a delightful experience for you. Just remember to wear your protective gear and you are on your way. You might find it a bit difficult riding your new motorcycle, especially if you are a beginner. 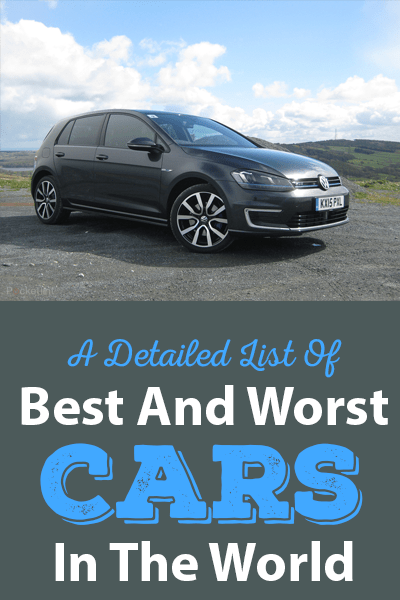 With the tips that we have rounded up for you, we do hope that you will be able to apply these new pieces of knowledge to help you enjoy your first rides. Probably the main takeaways from this post are that you must always have protective gear, just enjoy the ride and have fun.